Greetings! Let's have some fun! If you are serious about making your winning entry a reality, it would help to have your own copy of this book. It is not required. But if you want one to work on this contest, we will help you pay for it. If you are a participant, or intend to be, you may click on the book now to receive a special edition for participants. This edition has the 28 original songs plus the new song to replace the one eliminated. The regular price is $7.77. This special edition for participants is 30% off at $5.44. As you read through the songs, sing them in your head, or out loud, to try them on. See what music flows to you. Have fun with it. If you make it too serious, you will block your creative flow. Imagine yourself as the winner, and that your song is a great hit. Feel it. Make it real. Record the one(s) that make you feel the success of winning, and of your public loving it. Pay attention to your feelings throughout the entire recording process. Add to the recording whatever supports your feelings of winning this contest. You wrote some music and rightly feel pretty good about that magic of creation. You have the excitement of knowing that the same magic could continue on with success in that song and with a career that could grow from it. On the other hand, your creation can go the way of most songs that never catch on. Knowing it can go either way, you give it your best. However, working on the same song hour after hour, day after day, and sometimes week after week, can make a person come to hate the music that was adored in the beginning. When that happens, the negative feelings poison the work. Don't let the work get you down. If you feel discouraged, take a break. Recharge. Remind yourself that you are just having fun--fun that will be felt when people hear your song. If you tire of your song, it is no refection on your writing. It is just the nature of the work. You will feel much better about it later when it is polished and others love it. Take the time to get it right. Whether you feel that it is your best work on your first take, or your hundredth, do whatever is required to raise the quality enough for publication. Please do not submit work hoping that we will fix it for you. Some artists will be tempted to submit a song, then work on it some more and submit it again, and then do it again and again. To prevent such re-submissions of the same work (which makes more work at our end), we are adding a $33.33 submission fee—giving you some motivation to have it really finished when you send it in the first time. When you think it is ready, wait a bit. Play it for friends and get constructive feedback before sending it in. If you send it in first, you will still likely share it with friends who may still make suggestions whether or not you want to hear it at that point. Gather that feedback to polish the work before sending it in. It is your responsibility to ensure that the submitted work is complete and playable. All entry fees are non-refundable. MACCA Corp does not give feedback or critiques to entrants. Entry to the Billy Shears Talent Contest constitutes permission to use winner's name, likeness, and voice for future advertising and publicity purposes without additional compensation. By submitting work to the Billy Shears Talent Contest, each entrant affirms that the music submitted is his or her own original work (or the original work of the band making the submission), and that the entrant is solely responsible for the consequences of any finding to the contrary. Entrant is solely responsible for any third party entanglement growing out of submitting music unlawfully. By entering the Billy Shears Talent Contest, entrant (or their parents or legal guardian—if entrant is a minor) agree to accept and be bound by the terms and conditions of this contest shown on this website, and by the decisions of the anonymous judges of this contest. Their decisions are final and binding. 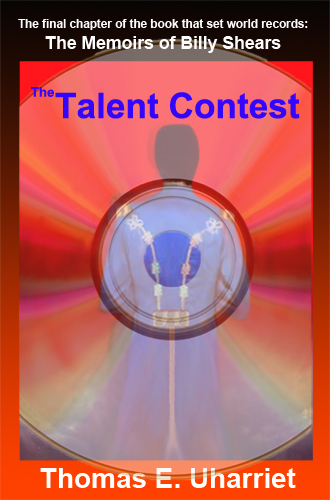 Winners of the Billy Shears Talent Contest will be posted on this website. Additionally, winners will be contacted by email to arrange royalty payments. Each entrant is responsible for providing up-to-date and correct email addresses to MACCA Corp. MACCA Corp is not responsible for entrant's non-receipt of any emails for any reason, including, but not limited to, server or email malfunctions. Royalties on winning submissions are paid to the individual specified on the entry form. It is that payee’s responsibility to divide those royalties among the artists for that submission. Thus, for example, if your band has four members, MACCA Corp will not divide the royalties to pay each member individually. The full amount will go to the designated payee. No one submitting work for this contest is thereby acting as an employee of MACCA Corp, or of its subsidiary, Peppers Press. All participants are responsible for their own federal, state, or local taxes, or for any other government-imposed fees or banking fees. Whereas the primary American processing center for the Billy Shears Talent Contest is in the state of Utah, this contest shall be governed by the laws of that state. If any participant feels that he or she was not treated fairly according to the regulations of this contest, MACCA Corp may be reached through the contact form on this website. Please do not contact us to complain that your submission was not selected as the winner. The judges’ decisions are final. If your concerns are not settled to your satisfaction through email correspondence, they can be addressed in court. All cases and claims pertaining to this contest or its royalties must be brought to a court of competent jurisdiction in Provo, Utah, without recourse to class action suits. If any provision of this contest is found to be invalid or unenforceable by a court of competent jurisdiction or appointed arbitrator, such determination shall in no way affect the validity or enforceability of any other provision herein. Any provisions of the contest may be struck if found to be prohibited by law without that deletion altering any other provision herein. To further ensure the success of the Billy Shears Talent Contest, deadline dates and/or entry fees may be changed at MACCA Corp’s discretion. Clicking on any of the links below acknowledges that you have read this entire page, and that you are in full agreement. 2. Pay the $33.33 entry fee. it will take you to a link for the next two steps. 1. When is the deadline for our entries? September 9, 2018 (nine years from the 09-09-09 release of the Memoirs of Billy Shears) ends the first round of entries. If enough of the songs have superb marketable quality submissions by then, we will (within a few months) announce the first projected CD release date. Depending on those entries, we may extend the deadline again for some or all of the songs. 2. Will Sir J. Paul McCartney help turn my song into a hit? Will he give me advice, musical tips, or let me tour with him? How personally involved is he in this project? Is his involvement with this project an official endorsement of the book? Can he do that? Do not join this project with expectations of it personally connecting you to Sir Paul, or to any other celebrity. At this point, any and all celebrity involvement is strictly confidential. Although when the CD is released, you might see the evidence of specific high profile celebrities having had their hands in it, don't let that influence your decision to enter the contest, or to give you the impression that someone else will fix your song for you. Your submission is to be turned in as complete as possible without the need for advice or musical tips. There are no guarantees that your song will become a hit, or that it will connect you to any celebrity. 3. If I already have a copy of The Memoirs of Billy Shears, am I required to also buy a copy of The Talent Contest? No, you are not required to buy either. If you do want your own copy--which would be very useful--it is essentially the same information in both books. Although neither purchase is required, we recommend that you read through your own copy, or a borrowed copy, enough times to know which songs call you. See which songs naturally flow musically through you as you read them. 4. How old must I be to enter the contest? Considering that Paul and John were only 15 and 16 years old when they began performing together, it would be unreasonable to require contestants to be of legal age. However, since contracts are involved, contestants must either be at least 18 years old or have their parent or legal guardian give their consent. There is a place for that option on the entry form. 5. Are there geographical restrictions? Although all submissions are in English, this contest is open to anyone regardless of nationality or origin. 6. Are some styles of music favored over others? A variety is preferred, but not required. Each song naturally goes its own musical direction. The winning submission of the song, “I’ve Carried That Weight,” will most likely be rap. The winning submission of all of the other songs will most likely not be rap. Ideally, each artist will sing in whatever style is authentic to that individual. Please do not sing in a style that is not authentic to you. 7. Will the winning entries be altered? Please make sure that each submission is complete enough to not require any further studio work to be a quality hit. A submission that seems perfect already would naturally be favored to win over one requiring session musicians to complete the sound. Nevertheless, no matter how perfect your submission may be, there is the possibility of any kind of alteration including, but not limited to, additional instrumental tracks, sound effects, vocal tracks, back-masking, or the joining of songs. If competing entries are spliced together to make a single song, both entrants are winners and will split the royalties according to what percentage of the song they each contributed. Many of these songs have additions already in store for them no matter how excellent the submission may be already, and were written specifically with those intended additions. Don’t ask in advance what those additions are for any song. We want you to be surprised. We anticipate that in some cases, more time will be spent in the recording studio further perfecting the recording than was spent in creating the submission in the first place. MACCA Corp. is thus partnering with the contestants in both writing and also in recording each winning song. 8. Who wrote these songs? By submitting the song to the contest, all participants affirm that the music is original and written by the person named in Question #5 on the entry form. If that name is an alias, the participant so indicates in Question #6. Whenever the song is sold, it will list the person's name or alias in #5 as having written the music, and will credit Billy Shears with writing the lyrics. "Billy Shears," of course, is the alias for the true author of the Memoirs of Billy Shears. 9. Who retains the rights and receives the royalties? Although comprehensive rights to all of the songs in this contest are assigned to MACCA Corp., winning participants are awarded 50% of all profits generated by their songs. Additionally, participants have permission to perform their winning songs without giving notice or compensation to the copyright holder. If participants make and release additional recordings of their songs, MACCA Corp. must be notified in writing within 30 days, and paid 50% of the royalties annually within 30 days of each fiscal year beginning with the song’s release date. 10. What about submissions that are not included on the Billy Shears Talent Contest CDs? 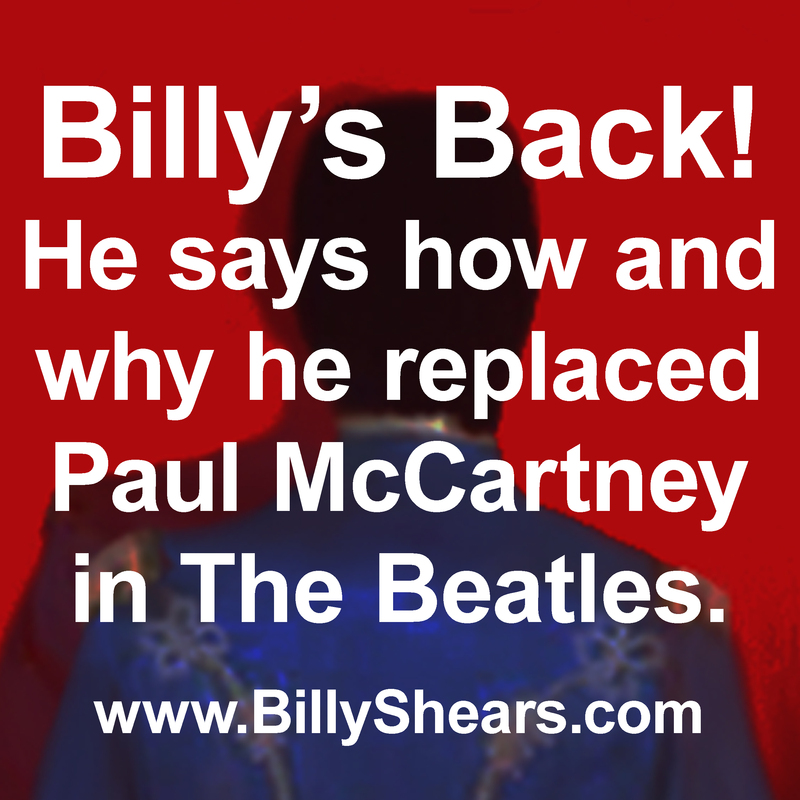 We expect more excellent submissions of the same songs than can be used on the Billy Shears Talent Contest CDs. If your song is not used on a Billy Shears CD, it may be released as a single with the same royalties and provisions as the other winners for 50% of the profits. If the song is not released by MACCA Corp. within five years of the submission, participants may release the song on their own with the same division of profits as the winners, and may use those songs with the contest lyrics for live performances under the same provisions as the winners, or may re-record their own music using their own original lyrics without compensating MACCA Corp.
11. Will all 28 songs be released on one CD? There will be two Billy Shears Talent Contest CDs with about half of the songs (and possibly others) on each. Submissions of songs that are not selected for the first CD will automatically be considered for another CD to be released about a year later. 12. How will MACCA Corp contact us to let us know that we have won, or to arrange royalty payments? Generally, all contact will be by email. It is the participant's responsibility to check their email and to update MACCA Corp when the participant's email addresses have changed. 13. How do we contact MACCA Corp? To reach MACCA Corp, or their subsidiary, Peppers Press, you can use the email contact form below the FAQ on the page of all "The Rest."